When I was a child we always loved autumn because Mum started buying tangerines. We used to get through so many she ended up buying them by the box and they always kept well in our pantry, much better than they do these days where you can guarantee that at least one fruit in the bag will be mouldy after only a couple of days. I was quite impressed that none of the Chilean Easy Peelers went mouldy so I will certainly be looking out for these in the shops as I hate wasting food. These days tangerines are available all year round but I find they can be quite tasteless out of season so I only tend to buy them at this time of year. My children have always enjoyed eating fruit and vegetables and they both enjoyed eating the Chilean Easy Peelers. The demand for Chilean easy peelers is growing in the UK as the convenient, seedless fruits are sweet in flavor and a hydrating snack, perfect for families. 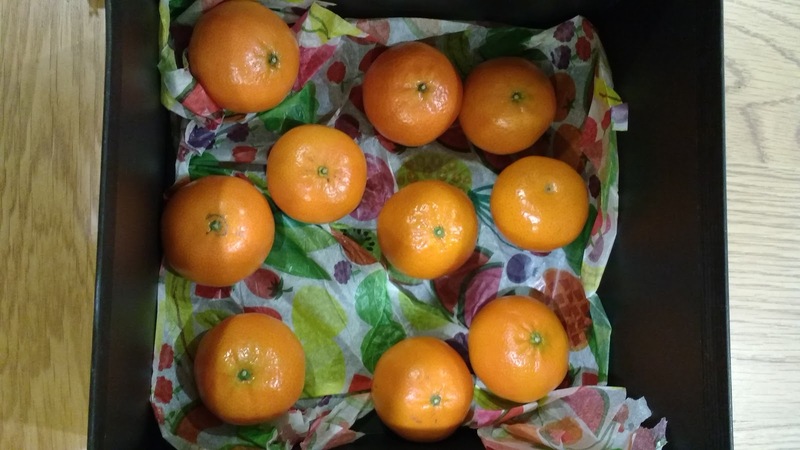 With year on year growth of 32% in tonnes sold in the UK, the amount of Chilean mandarins sold last season reached over 2,000 tonnes. The predictions for this year’s crop are even greater. Available in supermarket shelves from September to November, the delicious fruits are the ideal snack for back to school season. Both boys take a packed lunch and the Chilean Easy Peelers are great to include in their lunch boxes. Luke also had one with his breakfast so the box we were sent to try didn't last long! I find they are great to take to work and stop me reaching for the chocolate when I hit the mid afternoon munchies! Chilean Easy Peelers are great for children for as well as being low in calories, fat and a good provider of vitamins and minerals they help to provide children with fibre, folate, vitamin C, potassium, calcium and magnesium. They are also a great source of water being about 87 per cent water and eating foods with a high water content may help to keep them hydrated too.